The double Oscar-winning Sherman Brothers – Richard M Sherman & Robert B Sherman – wrote more motion picture musical songs and scores than any other songwriting team in film history and became one of the most formidable songwriting teams in family entertainment. From 1964 onwards their unparalleled partnership produced unforgettable music for dozens of films, particularly many of Disney’s best loved titles including Mary Poppins, Chitty Chitty Bang Bang, The Jungle Book, Bedknobs & Broomsticks, Charlotte’s Web, and The Aristocats. The highly prolific brothers were the sons of the great Al Sherman (1897-1973) whose own musical talents produced songs for the likes of Frank Sinatra, Ella Fitzgerald and many singers of the golden American Songbook period of the 1930s-1950s. 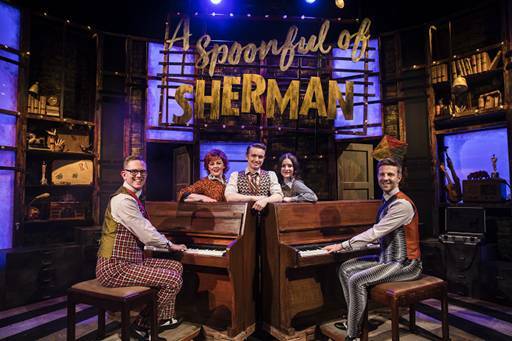 Robert J Sherman, son of Robert B. Sherman and a successful composer in his own right brings the utterly compelling story of one family’s century-long, award-winning musical journey to UK audiences in 2018. 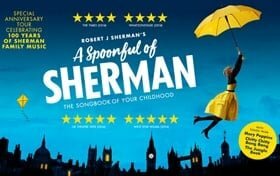 Three generations of Sherman songwriters are brought to life in this delightful show which includes songs from Robert J. Sherman’s own charming musical, Love Birds, which premiered at the Edinburgh Fringe in 2015.